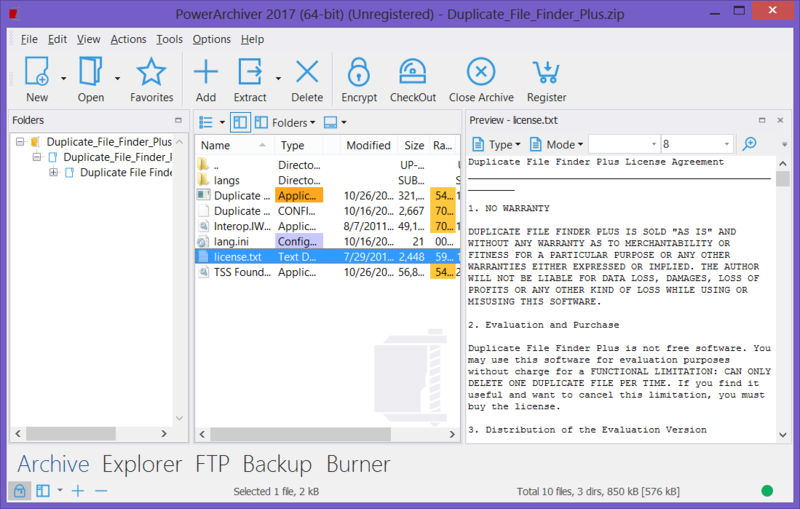 With 18 years since the first release, PowerArchiver 2017 Toolbox is a major upgrade with many features being added to the program. It is still in beta testing waiting for the final release. We, at promo2day forum, are pleased to be the first forum who did this early full detailed review and testing for the famous archiving application. It is not a simple tool for archives, it is a comprehensive all in one software that includes the ability to manage archives with support of too many formats present. In addition it includes explorer features that let you explore your computer, powerful burning tool that has all the features of a professional burning software. Also you can do backup of your important data which will be saved in the form of .pbs files. The buit in FTP service allows you to upload and download any files in an easy way. Disk Space Requirements: 150 MB for the program files plus some additional space for backup files (minimal). Miscellaneous: Multicore processor recommended for best speed. The program supports many languages to suite your needs. You can use the program in your own language. To change the language, open the options menu. Download: The program is still in beta and the installer is sent for testing and evaluation purposes by the company.